Merkel Technologies is the Israeli distributor for MiLabs. 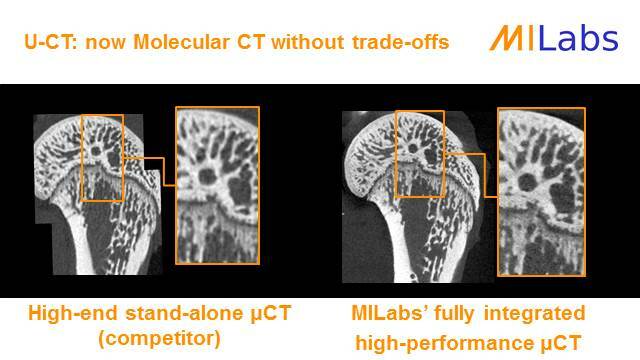 The new MILabs U-CT systems are the fastest preclinical X-ray CT systems available in the market with total body mouse scan achievable within 5 seconds. Low doses down to 5 mGy enable innovative longitudinal imaging protocols. Moreover, U-CT systems are available with excellent in vivo resolutions down to 4 μm voxelresolution.